Rocky Mountain Range is one of the worlds longest ranges, stretching from Alaska to the Mexican border. Over half of the 50 highest mountain peaks in the US. 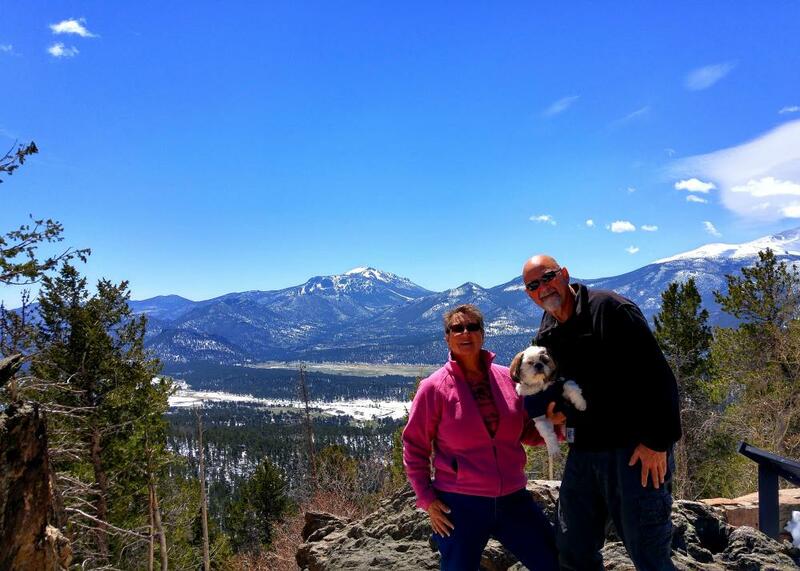 are in the Colorado Rockies and Rocky Mountain N.P. 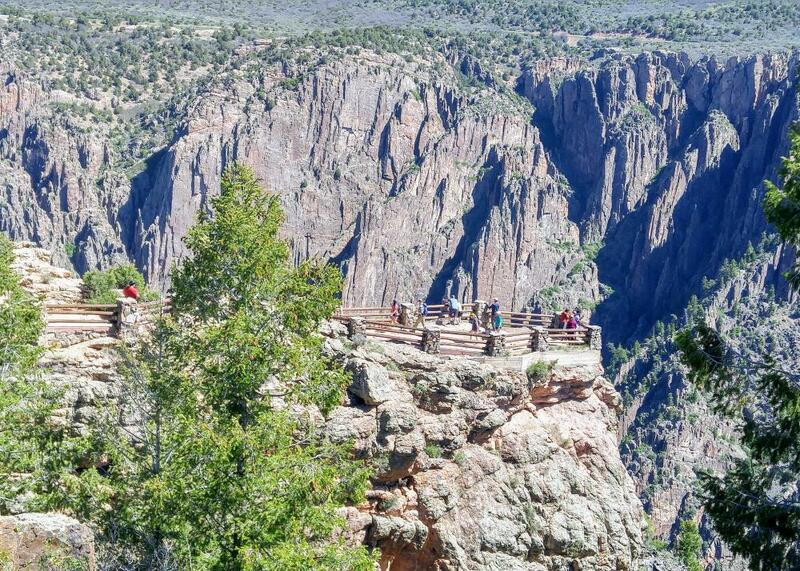 has the highest average elevation of any national park. Trail Ridge Road was still closed when we were there but boats the highest highway the nation. The highest elevation we reached in the park was 10,829 feet but Longs Peak, the highest summit, towers over the road at 14,259. One of Colorado's 53 fourteeners, with Mount Elbert being the tallest at 14,400. Now compare this to last summer's tour of the east coast, the highest elevation in the Appalachian Mountains is 6,643. It was our 34th park visited since setting out to visit all national parks in the lower 48. 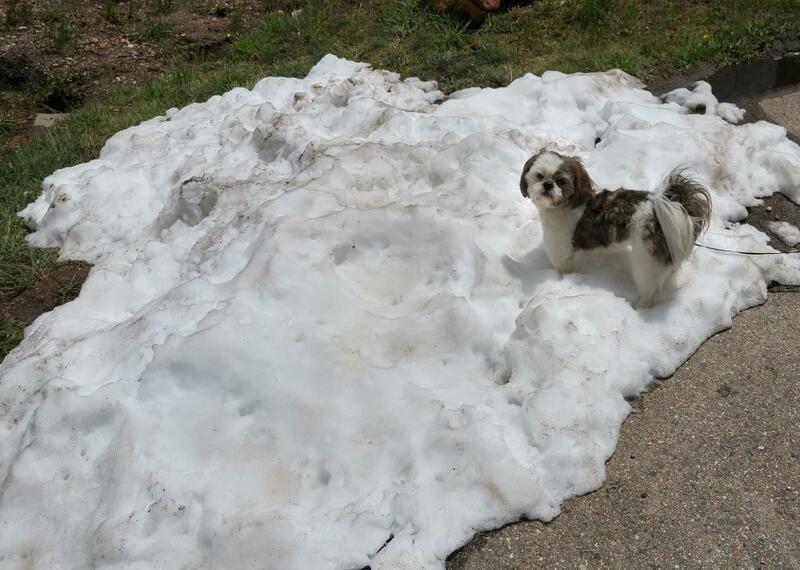 They had a good snowfall just before we arrived and it made the visit even more special. The contrast of white and green created stunning views. DeeO'gee had his first experience in the snow but didn't really say anything about it so I am not sure what he thought. This park only has a six week growing season and it is difficult to understand how plants even survive. A national park since 1915 it draws over a million visitors a year, all in this six week period. Wildlife is abundant and we saw elk walking down streets in the near by towns. Denver was about visiting an old sailing buddy. 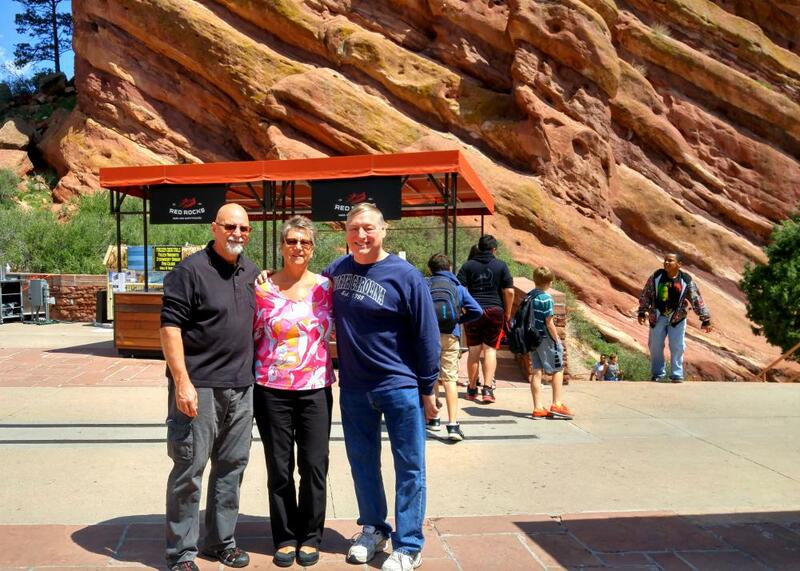 Dave took us to the naturally formed Red Rock Amphitheater high up over looking the city. Named the top outdoor venue it has hosted performances for over 100 years. 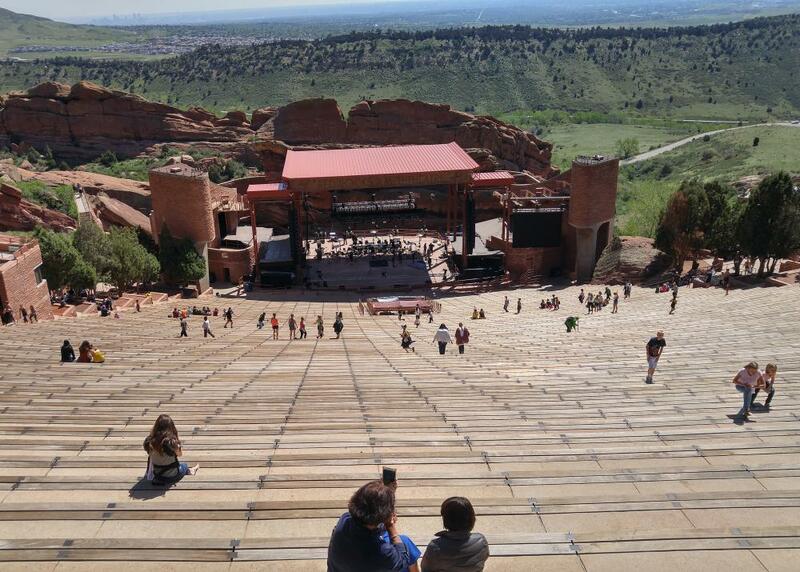 The biggest and best in the music industry play on a stage surrounded by incredible red rock towers. 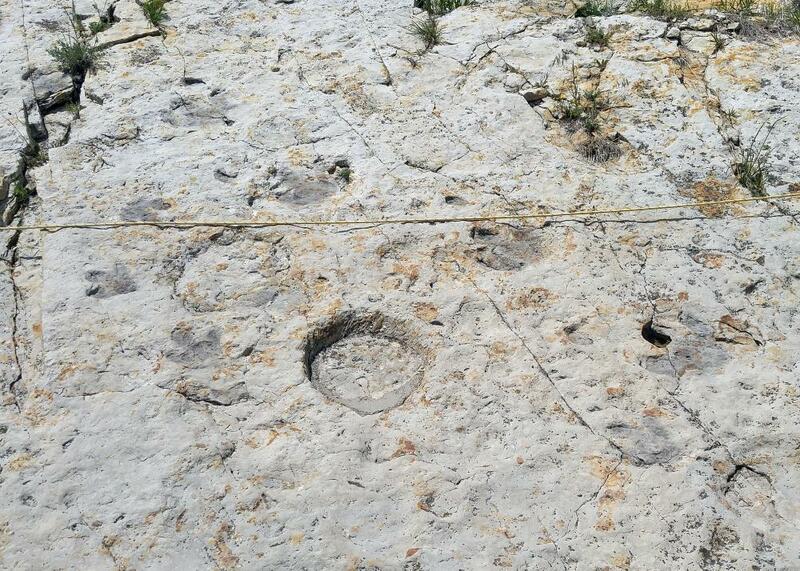 Next we stopped at Dinosaur Ridge to view perfectly preserved footprints of these prehistoric giants. One set appears to have a large predator chasing several little dinosaurs. Look below to see if you think so too. Leaving Denver we stopped in Colorado Springs. 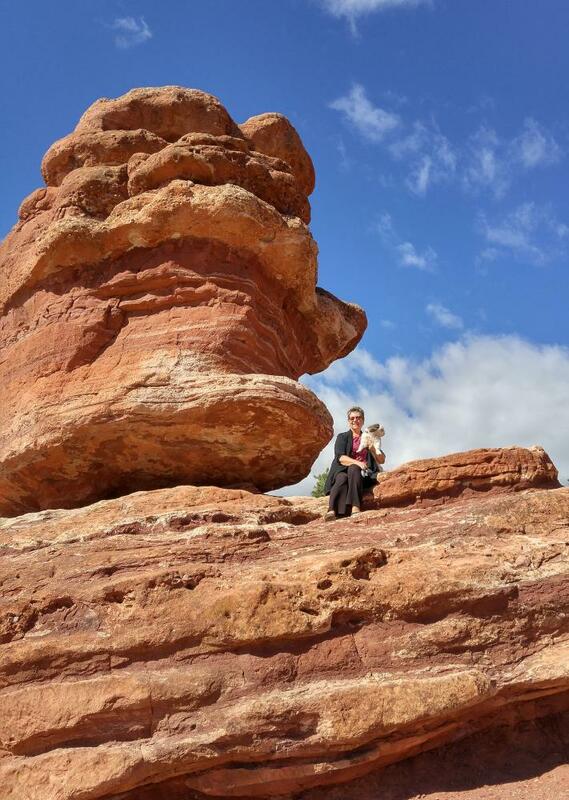 Garden Of The Gods is a city park with free admission and plenty of fun trails to hike. This a favorite of most that visit here, it is very dog and family friendly, be sure to visit if you are in the area. Great Sand Dunes N.P. was a disappointment and will move into the bottom few of our favored National Parks list. Pretty much the same as White Sands National Monument, but with mountains in the backdrop. Upgraded from National Monument in 2000, it drew plenty of visitors, so many in fact that there was no where to park. I wasn't up to climbing on sand dunes with my shoulder still recovering from surgery so it was a short visit. Had I visited 40 years ago I bet that i would have tried the Sand Boarding! 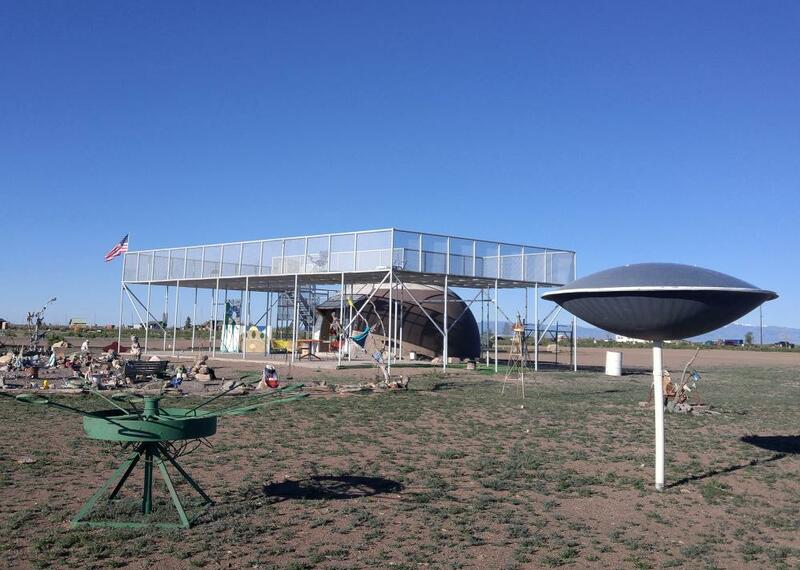 UFO watchtower is another quirky museum in the middle of nowhere that was just where we needed to stop for the night. For $10 we were able to park and wander around an area that has seen better days. We listened to the proprietress talk about sightings and vortex discoveries by passing psychics. Definately not a must see! Next we stopped at Curecanti National Recreation Area, a year-round hub of recreational activity. 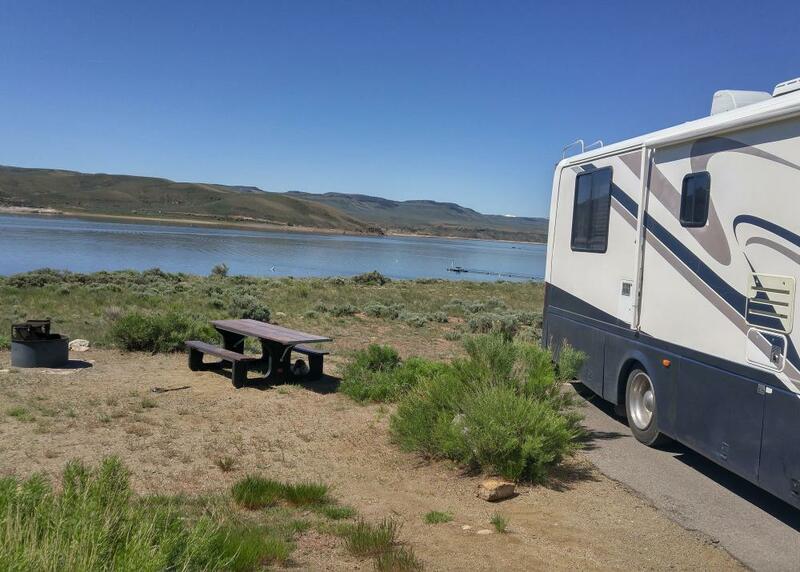 Blue Mesa Reservoir offers all types of water sports and is Colorado's biggest body of water. We arrived without a reservation and found a site right along the shoreline. Our schedule didn't allow us to explore the hiking trails and their impressive views but we will return here again. This is an area I could consider buying a piece of land for a cabin in the hills. Deep, Steep and Narrow. 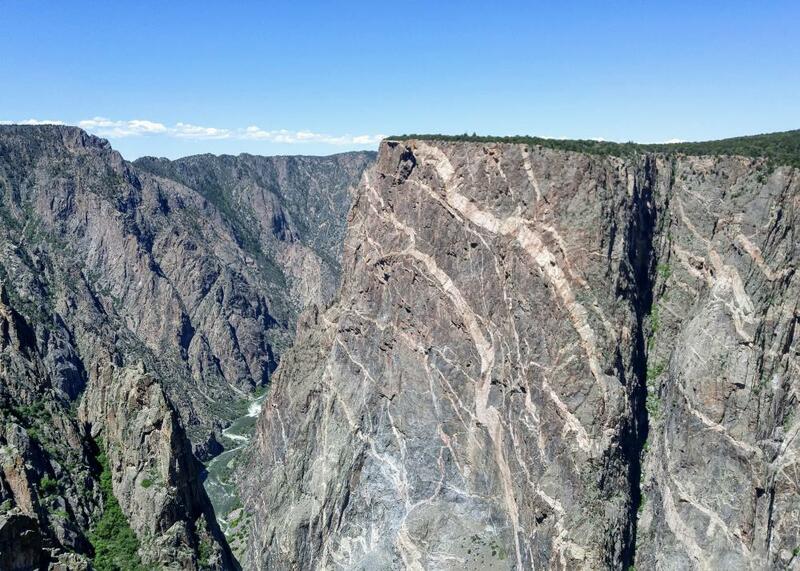 Black Canyon of the Gunnison is an amazing national park and will land in our top 10 list. 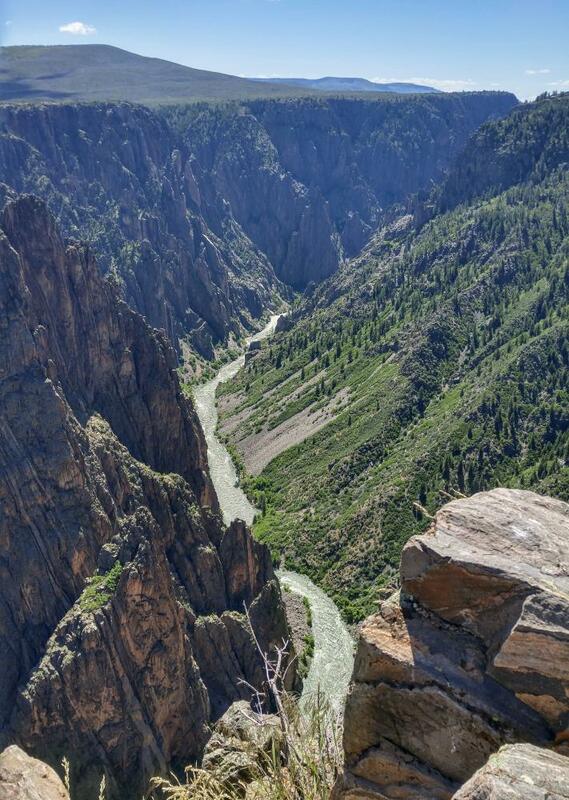 In just 48 miles the Gunnison River losses more elevation than the 1,500 mile Mississippi. In the park the river drops an average of 96 feet per mile and it drops 480 feet in one two mile stretch. Before the dams were built the river used to slam through at up to 12,000 cubic feet per second, the dramatic force carving the gorge for millions of years. The walls average 2,000 feet and has the highest vertical cliff in Colorado, Painted Wall is an impressive 2,250 feet of sheer rock. At The Narrows the steep walls are only 40 feet apart and one can hear the rushing water echo from high above. Many overlooks are available from the top but no trails lead down into the gorge. Rafting and kayaking is for the very experienced only, it is beautiful but unfriendly terrain. We camped outside of the park to prevent driving the big rig up the steep winding roads. DeeO'gee was exhausted at the end of the visit and we think he may suffer from altitude sickness. Once we are back down below 4,000 feet or so he starts to perk up. Poor little guy, he also suffers a bit of motion sickness. Well, all in all our visit to Colorado and the last three remaining national parks there was wonderful. We had visited Mesa Verde previously. Now we have one more to visit in Nevada on our way to Seattle and Steve's family.